| Activists of hatred or builders of the nation? One of the most widely read and quoted books in history tells us: “Everything has its time”, and also “love will never vanish.” Regardless of religious doctrines, political views or ideological currents, these premises are, in my opinion, essential for humanity in these times. To be aware of the times we live in, of the real situation around us, of the objective and historical needs, is not only a responsibility but also a necessity. What was good yesterday may not be so today, because reality changes, the conditions are transformed and, with them, the conscience and the needs of human beings, societies and nations. The reality of Cuba has changed. The Cuban society has changed. And even though its leaders are the same of more than 5 decades ago, and the intention of maintaining absolute power at all costs still remains, the conditions to change the remnants of that reality and the methods to do so must also be different. 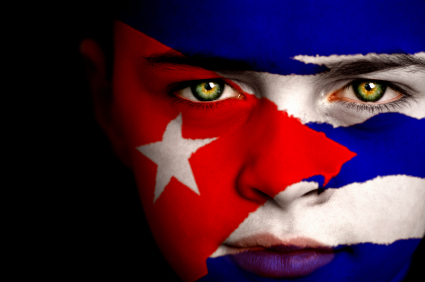 The Cuban cause is saturated with hatred and speeches inflamed by violence and radicalism. To build, to include, to agree, to debate, to respect, to dialogue … These are verbs that urgently need to be transformed into action, so that Cubans can have the country we deserve as soon as possible. Lets pull over all and all of us, our love for Cuba. Lets meditate on what side will we be: “where people love and build ” or “where people hate and destroy.” We don’t need to be on different ideological poles in order to belong to the same side, the only thing differentiating us or connecting us are our “attitudes”.